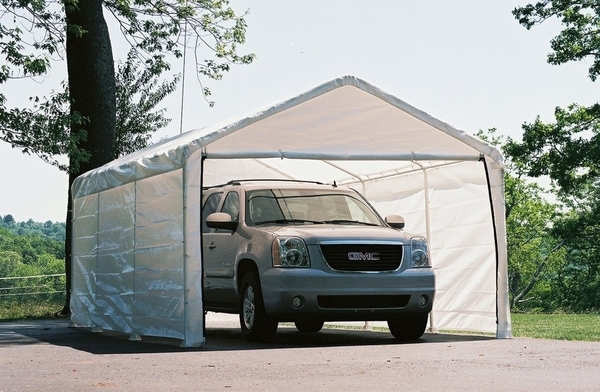 This kit will provide walls for your Shelter Logic canopy, an addition that can really increase your canopy's usefulness and give more protection for your car or other belongings. You could even use the newly created shelter as an outdoor party room. The material is 3-layer polyethylene that has been UV treated and made to be waterproof. The kit includes a solid rear panel, two side walls and one double-zippered front door panel, as well as bungee cords needed to secure each panel. A one-year warranty is included.